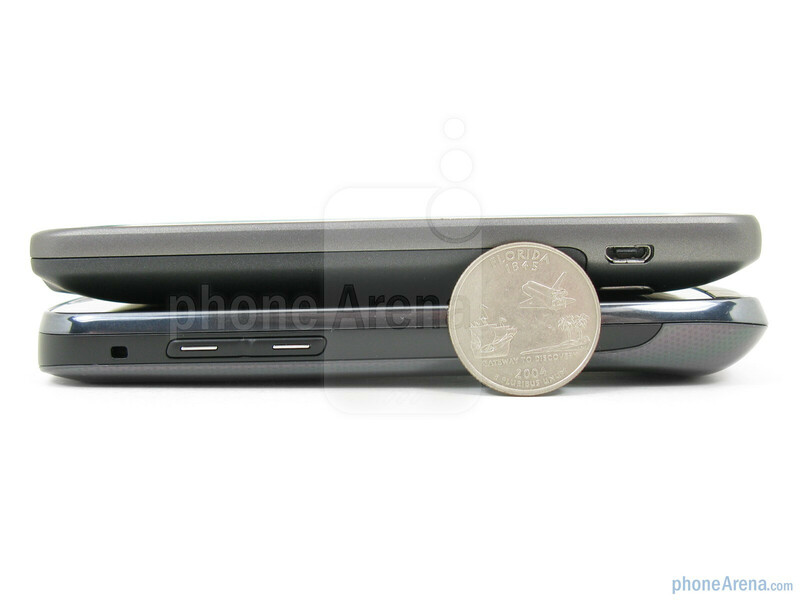 Two titans enter the ring: the Samsung Droid Charge in one corner and the HTC ThunderBolt in the other. Both can use Verizon’s new 4G LTE network, and come with a host of features, such as a large display, 1GHz processor, 8MP camera, and 32GB of storage space. But there are some key differences between these two smartphones, which we will go into detail here. 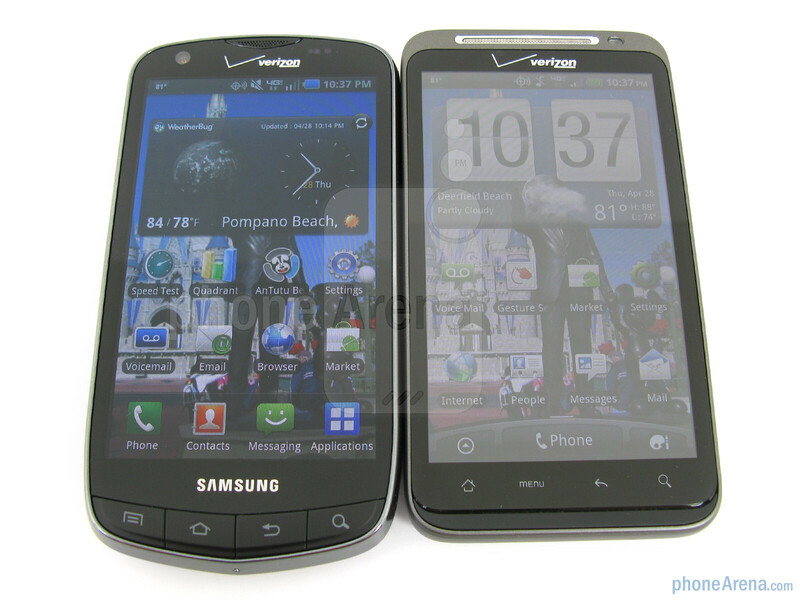 Even though both the Samsung Droid Charge and HTC ThunderBolt have a candy-bar form factor, their appearance is different. 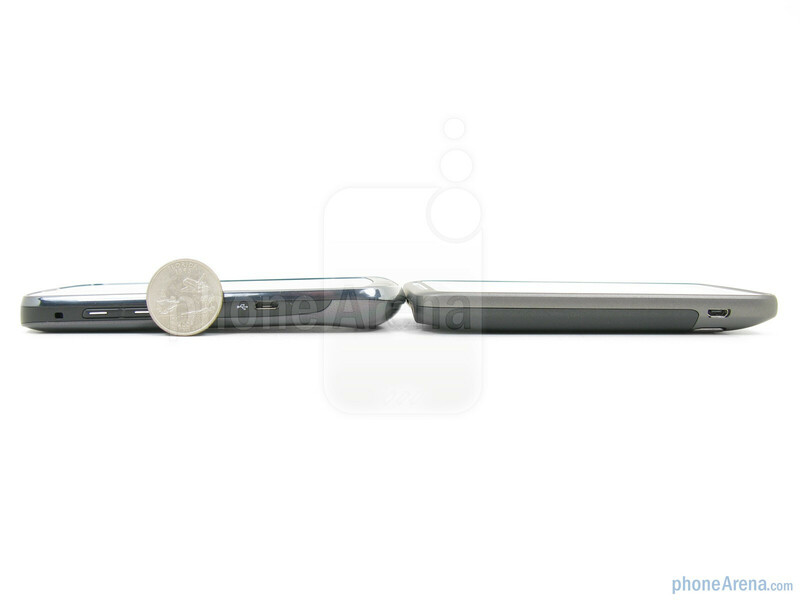 For starters, the ThunderBolt is larger and heavier at 6.23 oz and features a dark charcoal color used on the exterior, as well as a kick-stand on the back, while the Samsung Droid Charge is gray in color with chrome accents and is a bit lighter at 5.04 oz. Even though both devices are made out of plastic, the ThunderBolt feels more sturdy and solid, and features a soft-touch coating on the back that provides a nice grip with your hand, while the Droid Charge feels “cheaper” and has slick plastic that is more difficult to get a firm grip on. 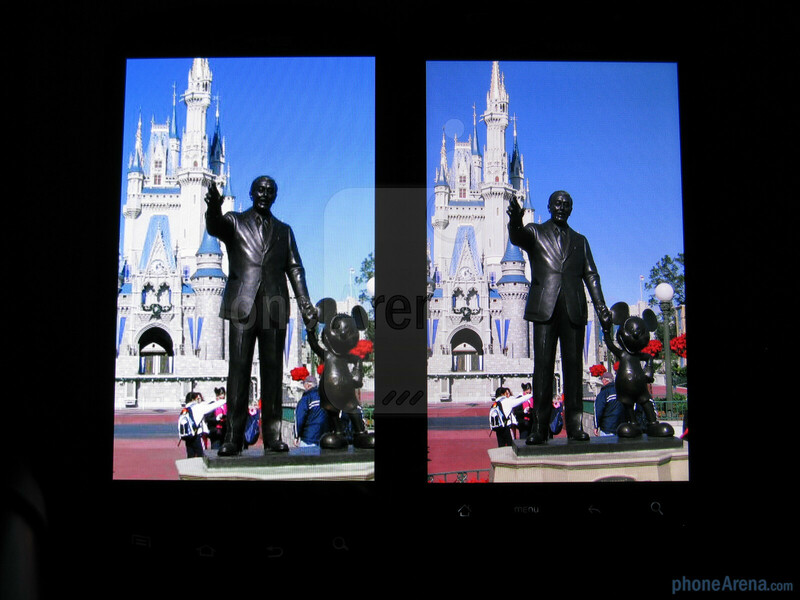 One of the most noticeable differences is in regards to the display technology that is used. The HTC ThunderBolt relies on a standard 4.3” WVGA resolution TFT LCD display, which is nothing that we haven’t seen before, but the Samsung Droid Charge uses a 4.3” WVGA resolution Super AMOLED Plus display, that is the newest type on the market. Even though both screens are the same size and have 480x800 pixel resolution, the Super AMOLED Plus display used by the Droid Charge delivers better contrast and color saturation, which allows text to be sharper and images to look more life-like. One other advantage is that the screen on the Droid Charge is much easier to view outside in the sun, while the one on the ThunderBolt is dark and hardly visible. Located above the display on each device is a 1.3MP fixed-focus camera, that can be used for taking self portraits and for video chat (if the app supports it).There is also a light sensor and proximity sensor for the display, but the ThunderBolt includes a standard LED notification light that will flash if you receive a new message or alert; something that is missing from the Droid Charge. At the bottom are four navigation keys on the ThunderBolt for accessing the menu, home, back and search, but they are capacitive touch-sensitive and can easily be pressed accidentally, while on the Droid Charge they are physical buttons, which we prefer. On the sides are the volume rocker and power/lock buttons, but on the Droid Charge they are raised more and defined from the surround plastic so they are easier to operate. 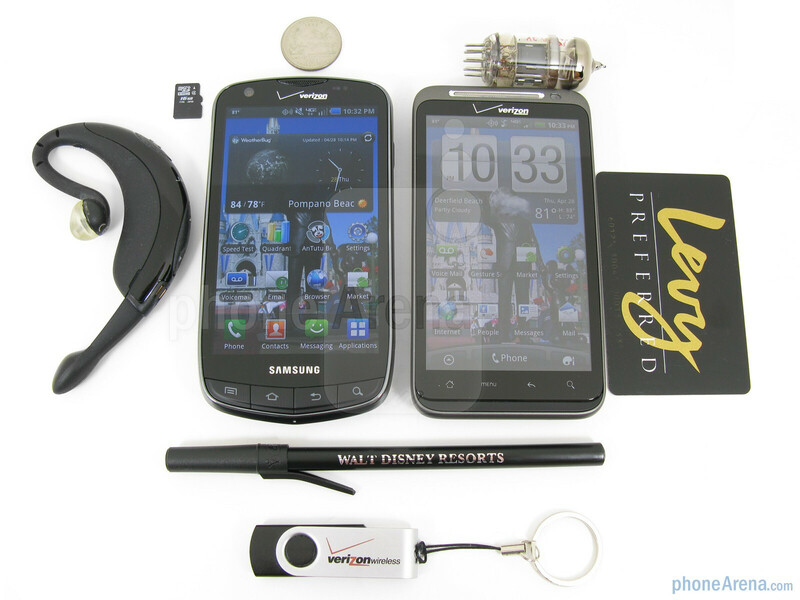 Both phones also have a microUSB port for charging and for connecting them to your computer, but only the Droid Charge comes with a HDMI video port to connect to a HDTV. i have had no problems on my thunderbolt. never experienced the 4G, 3G, 1x cycle as the article mentioned. The only thing is the battery WAS terrible. Until i rooted my phone and used setcpu. Now my thunderbolt lasts all day + more. So thats no longer an issue. I had 3 (THREE) of them. This 3rd one seems ok, only minor probs. like -speaker is distorted, -the call quality has tin-can-syndrome, -all incoming calls start on the LOUDEST volume (no tty, all settings are checked by me and htc tech and it still does it.) Every call is on MAX VOLUME. The only way to get rid of it is when s.one calls I got to move up the volume slider to max, then down. Pretty annoying from a new phone. Yea, mine did the cycling thing and the second day I had it, I returned it for a new model that works properly. Maybe other people should do that too and give accurate reviews instead...oh and call quality is great on mine too. I use it in the mountains all the time and the quality and reception is fine. The only thing about this review that pulls me toward the Charge is the Super AMOLED Plus, that is a beauty of a screen. But everything else that it has better aren't really that impressive. I would prefer the camera, sense, build quality, and "better" performance are the deciding factors. And the less than average track record for updates from samsung don't bode well with me either. IMHO, both of these devices are too late to the market. 4G is the only thing separating them from the competition...and that has enough reviews (not just on this site) to feel disappointing. Looks like the cameras are junk, too. I'll wait for the dual-core monsters to rear their heads to see what my next upgrade will be. Going to take quite a bit to pry my jailbroken iPhone 4 away. PhoneArena never checks facts anymore do they.... the thunderbolt is not a standard lcd it is a Super LCD, also it has 768mb of ram not 512. phonearena has become morons. If the Thunderbolt had a Super AMOLED plus display who would win then? Think I'd take the Droid Charge, although I must say I like the look of the Tbolt. But, I want an Omnia 7 on Verizon anyway. and the winner is....Iphone! Again, poor quality and outdated technology from the "new" android phones...they're just not built as well as the iphone whether you're an Apple fan (which I'm not!) or an android fan..This is why Apple is still King. i have both sitting here side by side and the picture us far more brilliant on the thunderbolt. BOTH phones have more flaws than any other phone i have ever had. PROBABLY because they are the first 4G phones and if i have ever learned anything else before, never buy something that is the first of its kind. wait and let things get perfected. Since both have been out, we haven't sold a whole lot of them. I mean really, Verizon, get it together. You put out your first dual-core processor in a 3G DEVICE? Yet, your 4G phones are both single core. Doesn't make sense. Not to mention, the Thunderbolt will last you a good 8 hours if you aren't doing ANYTHING on it. Maybe 4 hours with data usage. Fail. You guys are bitching about No Dual Core and low battery life. Do you realize how much worse battery life is going to be when your feeding twice the cpu draw? Agree, the facts they post here about both phones, is not accurate. very odd. My Atrix is 4g, Dual Core and the massive battery lasts two days. CDMA is your enemy. I got one at a verizon wireless seminar. It's only 1gb though. Droid charge Great phone, but lastest 2 days and 4G, went to 3G. then DOA.. Intermittent and flaky at best, and call s were broken and stuttery even in suburban metro area. To all the iphone users saying that the iphones number one...its pretty much the same software and stuff in a new skin with a different number. Dumbass to go out every six month and buying the new iphone. And steve jobs a f**king joke. When you're buying an apple product you're paying for the logo. I have a droid charge, it is the biggest piece of crap ever! I am on my 3rd one this week. I push the messaging button and the internet opens, the internet opens the phone freezes. The replacement phone they sent keeps restarting itself every couple of mins. I have not downloaded or made any calls from it before it started doing this. I complained enough they are sending a thunderbolt instead, I hope it does better! I am not a tech guy, but I have purchased at least one of the latest phones over the past five years to use when doing business. The Droid Charge definitely feels like the best thing that I have ever used. 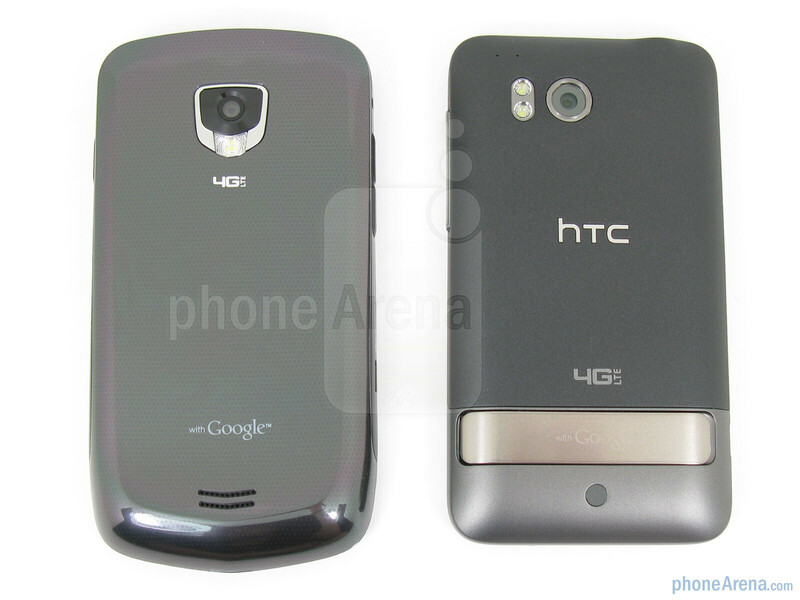 I like that it is light and the screen actually looks bigger than the HTC. I have never felt more organized and the speed is amazing to me. Consumers always want more, but I am very satisfied with the Droid Charge and it is definitely an example of giving the consumer more! I have had 6 Thunderbolts and just got my Charge this week. The camera and video quality are waaaay better on the Thunderbolt. I went to a wedding last night & every single one of the photos taken on the Charge were crap! Even after I tweaked the settings. The Thunderbolt (even after the update) would power cycle on is own, drop from 4g to 1x ALL the time no matter what city I was in or while sitting on my front porch...I have not had that issue on the Charge. I did root my last Thunderbolt and the battery life was wonderful after removing all the bloatware crap from it but it still doesn't compete with the Charge. 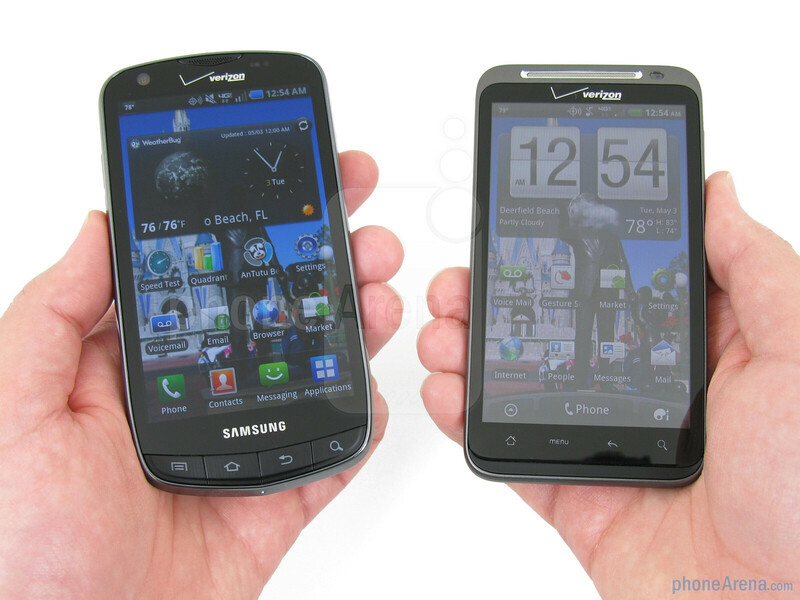 I wish I would just combine these phones or have Verizon put out something that was worth a damn. My contract doesn't expire until 2013 but I am breaking it to switch back to Sprint where the plans are cheaper, the service is the same as Verizon's in my area & the cities I visit & everything is TRULY unlimited.